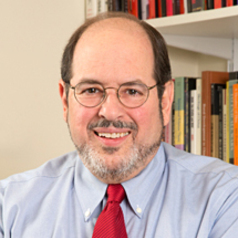 Arnold M. Howitt is Faculty Co-Director of the Program on Crisis Leadership, John F. Kennedy School of Government (HKS), Harvard University, which conducts research, executive education programs, and action projects. He is also Senior Adviser of the HKS Ash Center for Democratic Governance and Innovation and an adjunct lecturer at HKS. Dr. Howitt has worked extensively on emergency preparedness and crisis management issues in the US and other countries. He has recently been researching Nepal’s emergency response to the 2015 earthquakes, lessons from the emergency response to the 2015 Paris terrorist attacks and the 2013 Boston Marathon bombing, Japan’s response to and recovery from the 2011 earthquake/tsunami/nuclear accident, implementation of the National Incident Management System (NIMS) in the United States, and China’s emergency air pollution control measures. He also develops case studies on crisis management and disaster recovery issues in the US and several other countries. In related activities, he was an organizer of a conference on disaster recovery at HKS (2016), has consulted in Nepal on disaster recovery issues following the 2015 earthquakes near Kathmandu (2015), worked with the City of Los Angeles on disaster recovery planning (2010-11), served as an adviser and trainer-of-trainers for China’s National Institute of Emergency Management (2010-11, 2015), and was one of the organizers of a “lessons-learned” roundtable at Harvard (2011) for leaders of organizations that responded to Haiti’s 2010 earthquake. He also served on the World Economic Forum’s Global Agenda Council on Mitigation of Natural Disasters (2008-2009), was a member of a study panel of the Transportation Research Board/National Academies of Science on the role of transit in disaster evacuation (2006-2008), and was a member of an Institute of Medicine/National Academies panel assessing the federal Metropolitan Medical Response System program (2000-2002). At Harvard, Dr. Howitt directed the Executive Session on Domestic Preparedness (1999-2003), sponsored by the U.S. Department of Justice, to conduct research on U.S. preparedness for terrorism and manage a standing task force of Harvard faculty and local, state, and federal officials in emergency management, public safety, law enforcement, and public health. Following the anthrax attacks in the U.S., he served on the Governor’s Bioterrorism Coordinating Council in Massachusetts (2002). He has also been a trainer for the Federal Emergency Management Agency, the National Conference of State Legislatures, the National League of Cities, the National Governors Association’s Policy Academy on Homeland Security and Bioterrorism, and for the City of Los Angeles, San Diego County, the California Red Cross, and for many government officials and university audiences in China, Japan, Vietnam, and Indonesia. Among other writing, Dr. Howitt is co-author/editor of PUBLIC HEALTH PREPAREDNESS (American Public Health Association, forthcoming 2016), NATURAL DISASTER MANAGEMENT IN THE ASIA-PACIFIC: POLICY AND GOVERNANCE (Springer, 2015), MANAGING CRISES: RESPONSES TO LARGE-SCALE EMERGENCIES (CQ Press, 2009), COUNTERING TERRORISM; PERSPECTIVES ON PREPAREDNESS (MIT Press, 2003), and PERSPECTIVES ON MANAGEMENT CAPACITY-BUILDING (SUNY Press, 1986), and author of MANAGING FEDERALISM: STUDIES IN INTERGOVERNMENTAL RELATIONS (CQ Press, 1984). A Harvard faculty member and administrator since 1976, Dr. Howitt was previously Executive Director of the HKS Ash Center for Democratic Governance and Innovation (2008-2016) and Executive Director (1993-2008) and Associate Director (1984-1993) of the HKS Taubman Center for State and Local Government. He received his B.A. degree from Columbia University and M.A. and Ph.D. degrees in political science from Harvard University.